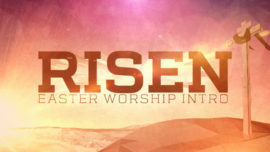 Looking for a way to start your Easter service? We've selected the following Easter Sunday intro videos to communicate the excitement and significance of the resurrection. 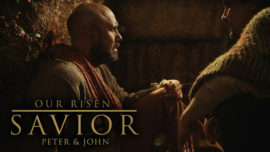 When Peter and John realize that Jesus is gone from his tomb, they slowly realize what this means for their Savior and the entire world. By sending Jesus, God stepped into this broken world in human form. And through His sacrifice, He wiped clean our old story and started writing a new one. It's a story of redemption and forgiveness. It's our life story. It's His story. It's a resurrection story. Perfect for Easter Sunday as a worship intro, sermon illustration, or closing benediction. 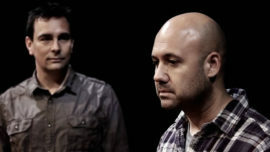 In this scene the Skit Guys portray a powerful conversation between Jesus and Peter which shows us the amazing Grace of God. 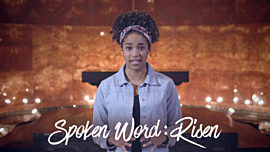 This powerful Easter short film features a spoken word poem describing how Jesus' resurrection impacts our every day lives. Modern visuals depict our struggles with distraction, anxiety and condemnation, contrasted with encouragement that because He lives, we can dance in the radiance of our redeeming savior. What are you afraid of? What is holding you back? Jesus has taken your sin at the cross and conquered death. Christ is risen! Death is no longer the end! 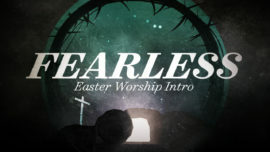 This Easter worship intro proclaims that because of Jesus Christ’s crucifixion and resurrection we can be fearless in sharing the gospel with friends and neighbors and fearless in worshipping Him. Based on Romans 6: 5-11. As we celebrate Easter morning, Mary Magdalene recounts her experience of arriving at the empty tomb and finding Jesus alive. 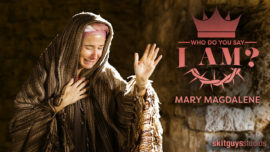 When He asks her to tell the others that He is alive, she finds herself overwhelmed with the reality that He did what he said he would—He is risen. He is the Messiah. The King of kings. 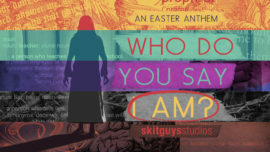 This mini-movie from the Easter bundle, Who Do You Say I Am?, celebrates the good news that the tomb is empty on Easter morning. The nails could not hold Him. The cross could not finish Him. The stone could not keep Him. Death could not defeat Him. 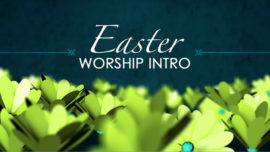 Use this mini-movie as a powerful intro to your time of worship on Easter Sunday. What do you believe about Easter? About God? About Christ? Watch as this stirring video combines spoken word and an artful depiction to articulate what we believe and what that means. Start your Easter service or sermon with this powerful and moving message. Jesus lived a short life, but in that time, he did so much. Perhaps even more than his accomplishments though, what is so profound is his unique ability to be everything we needed and be everything that no one else could. Based on a sermon by Sam Storms (www.samstorms.com). In this moving call to worship we are reminded of what Jesus did for us and how His actions define Him. Because He rose from the grave, we know that Jesus is the author and perfecter of our lives. He is our security and significance. Use this during Easter services to remind people what Jesus has done and who He is. It would be a morning unlike any other. 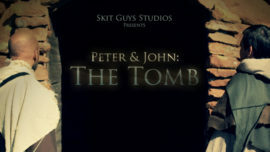 Watch as Peter and John race through Jerusalem on Easter morning only to discover an empty tomb (John 20:3-10). 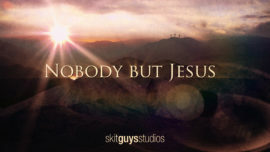 This Easter video sets up your choir or congregation for the proclamation that He is alive. Includes an alternate version in Aramaic. Christ has risen! 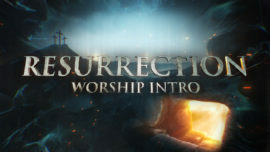 Start your Easter worship service or sermon with this moving video expressing the celebration of Easter and the significance of Christ's resurrection in our lives. With powerful music and graphics, this intense Easter worship intro illustrates Jesus’ suffering of the cross and His death on Good Friday. But, that’s not the end of the story. 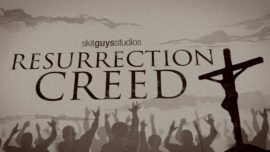 The climax of the video exclaims the amazing resurrection of Christ. 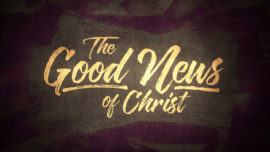 The opening of the video also tells of Jesus’ mission (why he came), and closes with an invitation for all to believe and place their faith in Christ. 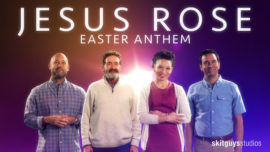 This easter mini-movie will make for an emotional introduction to your Sunday morning Easter Services, as you celebrate the resurrection of Christ. Also, be sure to check out the matching motion collection called “Easter Sunrise Mini-Pack Vol 2” (must be purchased separately). The Mini-Pack contains a 5-minute countdown, 6 Motion Loops, and 6 Still Backgrounds.